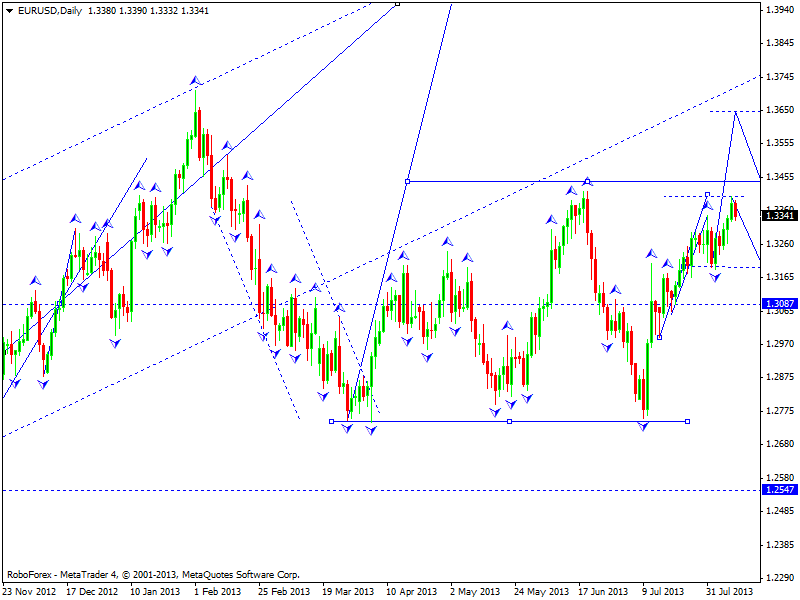 At the daily chart, Euro continues moving upwards; the market completed the third ascending wave. We think, during this week, the price may start a descending correction towards the level of 1.3200, grow up to reach the target at 1.3650, and then form a new descending correction. 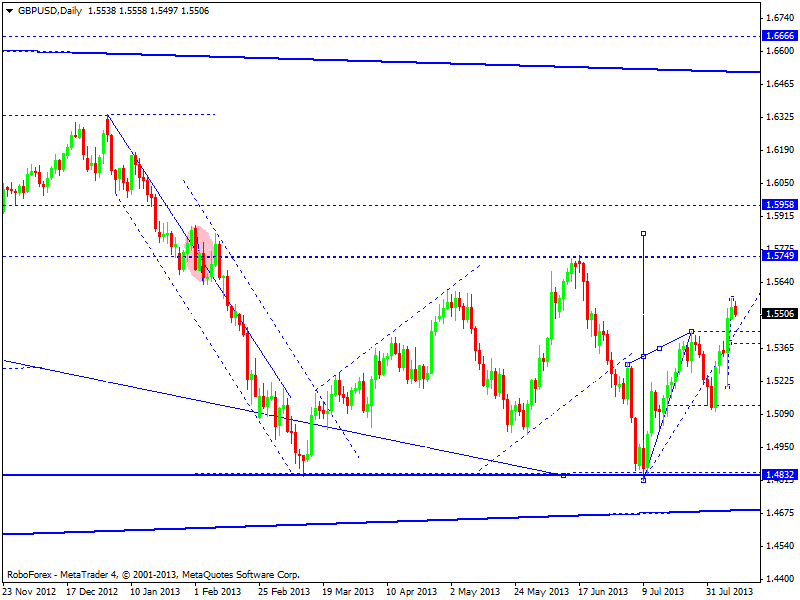 At the daily chart, Pound is still forming the third ascending wave. We think, during this week, the price may form a correction towards the level of 1.5400, continue growing up to reach the target at 1.5700, and then move downwards again to return to the level of 1.5400. 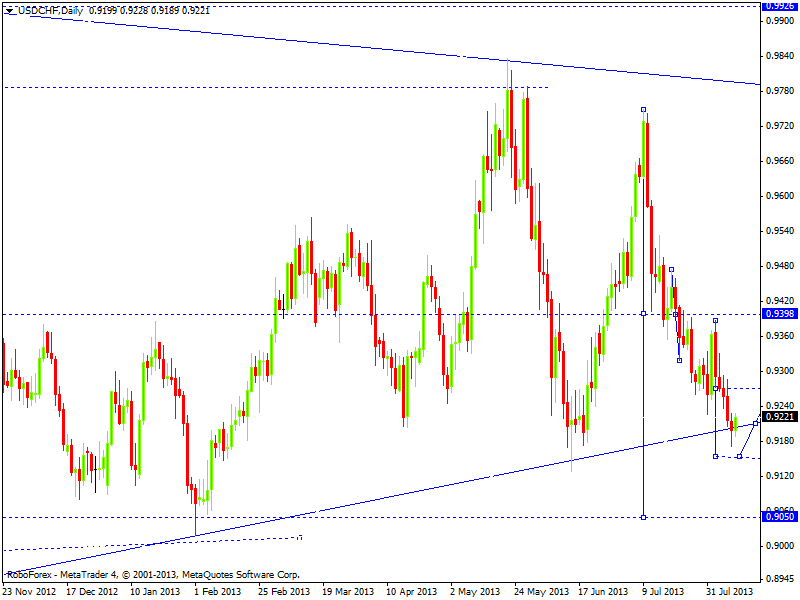 At the daily chart, Franc continues falling down. We think, during this week, the price may reach the target at 0.9150, form a correction towards the level of 0.9250 to test it from below, and then start a new descending structure to reach the target at 0.9050. 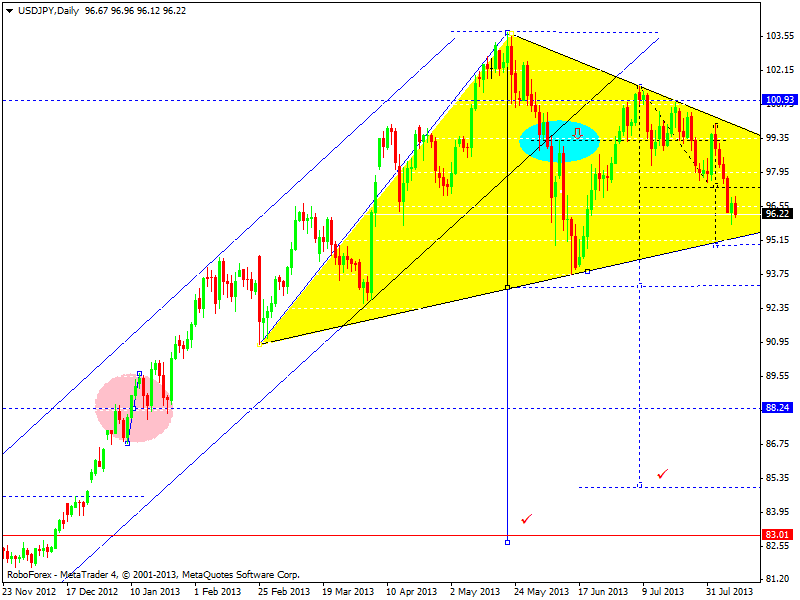 At the daily chart, the USD/JPY currency pair is forming a descending wave. We think, during this week, the price may reach the target at 95.00, return to the level of 97.50, and then continue falling down inside the third wave towards the target at 85.00. 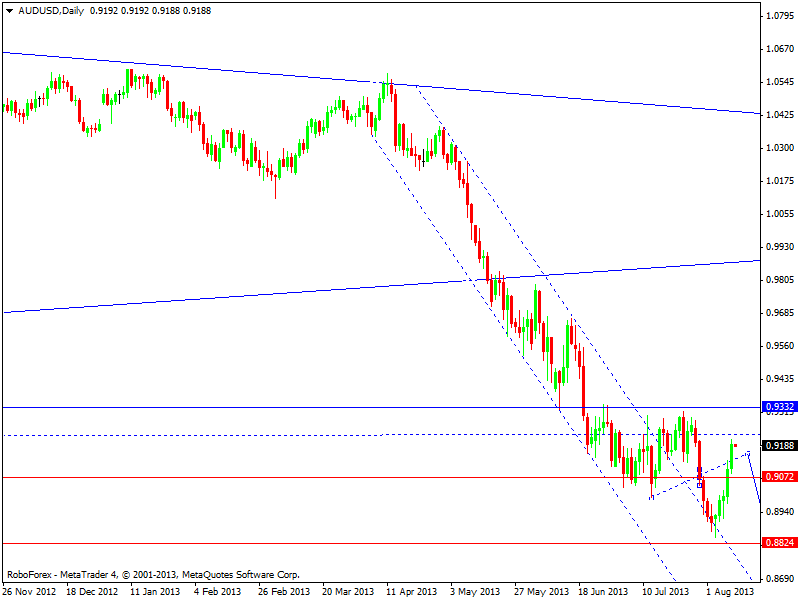 At the daily chart, Australian Dollar completed its ascending correction. We think, during this week, the price may reach a new minimum, test the level of 0.9000 from below, and then continue falling down towards the target at 0.7800. 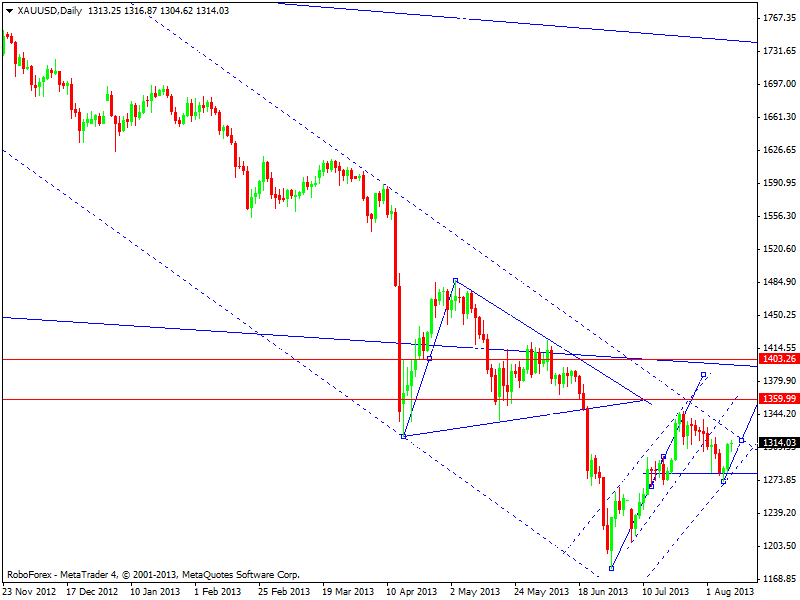 At the daily chart, Gold is forming an ascending correction; the target is at the level of 1360. We think, during this week, the price may reach the above-mentioned target and then start falling down towards the target of the third wave at 1000.